Welcome to the Fujikura Certification Center. 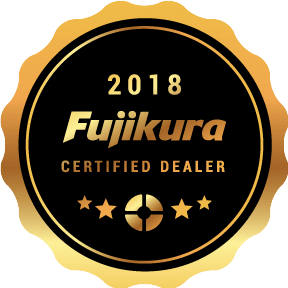 We are committed to helping valued charter dealers like you succeed by providing valuable information about Fujikura through both in-person and online training seminars, which cover company history, industry leadership, in-house proprietary technologies, products and more. Led by our VP of Engineering, Tour & Product development team and Sales and Marketing teams, the training will transform you into a Fujikura expert and enhance your ability to fit and sell our premium products to your customers, effectively strengthening your business. Please come back in the spring of 2019 for updated training.